It's true that you have to keep in mind a wide range of characteristics that impact the design of all educational products, but it is inevitable for companies to have a key focus on the importance of the blend of design and digital trends to create products with an edge. With the growth of the edtech sector, we are witnessing launch of a lot of education products and apps to drive better adoption by their stakeholders; and there are no points for guessing that a good UI, UX, Design is the core reason for the product usage. To focus on this aspect we had a chance to speak to Hari Nallan, Co-Founder and CEO and Eeshwar Chopraa, Director - Strategy, Public Relations & Outreach at Think Design, a strategic design consultancy that help organizations create disruptive innovations in the digital space. For someone who doesn’t know about Think Design, what is the best way to describe it in minimum number of words? Think Design is a Strategic Design consultancy that help organizations create disruptive innovations in the digital space. Our work is at the intersection of Business, Technology and Human emotion and we have pioneered User Experience practice in this part of the world, having established our practice in 2004. With Design Thinking at the core of our practice, we work with visionary leaders among our clients and bridge the gap between Strategy and Implementation, through Design. 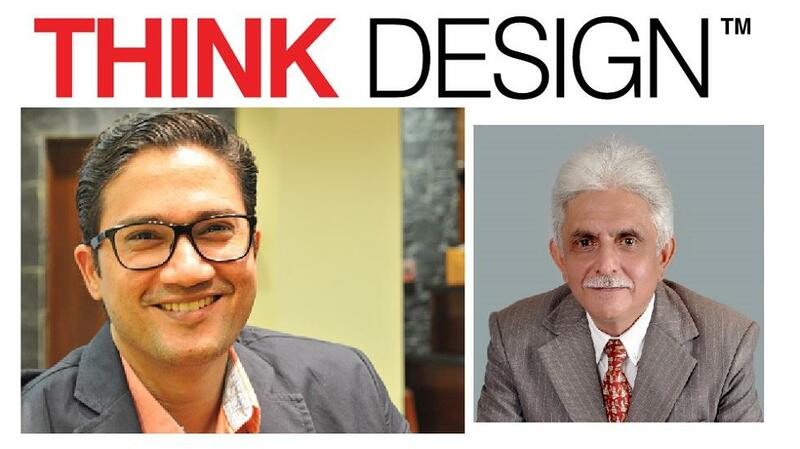 Let’s talk about Think Design’s core value proposition. What problem are you solving and for whom? Our focus is on Design and in a way it connects with Strategic initiatives of the companies we work with. Our clients can start engaging with us in very early stages, which a technology practice will struggle to fit into. We start with a clean slate, when all that we have is, an idea, a vision or a problem at hand. Through our practice, our clients can now explore the Design first, before tying themselves to complicated contracts that may not solve the real problem. This approach of ours holds good for all the companies we engage with: from fortune companies to start ups… we do not need a detailed product document to start. The problem we are solving is exactly this: To be able to engage with our expertise without our clients having to spend their time in articulating detailed use case documents and legal contracts. We make it easy for our clients to start off, from wherever they are. What is your vision for Think Design especially in the growing EdTech space? We had been working in the Ed tech space for more than four years now and it holds a lot of promise in India. We believe that digital technologies in education can significantly improve affordability and distribution, which are both equally important to make a difference in a country like ours. With years of experience in this space, Think Design has the ability and expertise to make Edtech initiatives usable, relevant and exciting for its users. We will be a leading Design consultancy in this segment in the next 2-3 years, if we are not already one. Could you share details on the number of education clients? Current case studies? How do you think Think Design is different from other players in the market (in India or globally)? We start at a very early stage and we engage with key stakeholders in articulating Vision and Strategy first. This way, we are collaborating on the fundamental product definition in the beginning, journeying along with the leadership teams by defining and giving shape to their vision. Through our time tested and refined process of engagement, we bring Design Thinking by way of critical problem solving to the table of our clients. This is a capability many of even very large organizations are struggling to internalize. Being Designers and being at the forefront of the practice of its kind, it comes naturally to us. We are one of the very few organizations globally, that are founded and run by Designers. Decoding latent intent of stakeholders and users is in our very DNA. We are well versed and have experience at every stage of Design realization… from discovery workshops to conceptualization to user research to implementation. With 100 people in our team, we have a very broad set of competencies and we are not offering piece meal to our clients. What are your views about the growth of Education Technology industry in general and specific to India? What difference do you see in the EdTech Indian market in comparison to other countries? Affordability is of prime concern and spending in R&D is usually recovered through pricing of the successful product. Since we are a predominantly price sensitive market, it will take few more years for us to see proactive R&D spending in this domain. Because of our sheer diversity, we tend to see extremes. While on one hand, we have upwardly mobile upper middle class with access to state-of-the art educational systems, on the other we see challenges in delivery of basic quality of education and infrastructural challenges. One of the biggest impediments to EdTech is the quality of infrastructure or the lack of it. It demands internet connectivity, availability of uninterrupted power among others. Another big challenge we have personally experienced is the ICT skills of teachers. We have witnessed vastly varying levels of ICT skills among teachers and it becomes a very big challenge in depending on them for advocacy and delivery. What would your tip be to the young edtech startups and other education entrepreneurs in relation to design and UX in this connected world? Most of our assumptions in terms of tech savviness and familiarity with interfaces will be proved wrong by our users. Hence, it will be an absolute necessity to involve end users in design sprints by way of conducting concept, usability and proposition tests at various stages of design-development process. It will be important to build your interfaces for beginners, not experts. A very large percentage of the users will belong in the beginner category, hence, setting this as a baseline for ease of use is essential. More than any other domain, Education domain requires a careful balance of Value vs Pain equation. What is the value we are providing for the pain user is subject to? We have researched subjects who said that they feel technology in education as an additional job, something they are forced to perform, in addition to what they are already doing. In simple terms, they are not getting the value vs pain equation right. For a user to readily accept and use your product, value should always be greater than pain… in EdTech, it should be significantly higher!